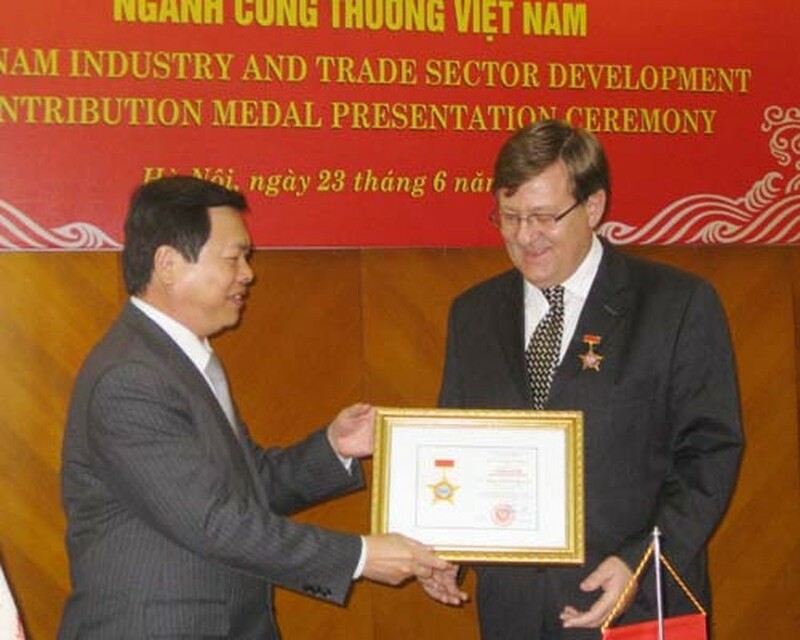 The Danish Ambassador to Vietnam, Peter Lysholt Hansen, received Vietnam’s campaign medal July 5, in recognition of contributions he has made to environmental protection in Vietnam. Minister of Natural Resources and Environment Pham Ngoi Nguyen gave the campaign medal to the Danish Ambassador in Hanoi. During a six-year term in Vietnam, Peter Lysholt Hansen focused his efforts on environment protection reducing the effects of climate change. Earlier, the Ministry of Industry and Trade also awarded campaign medal to the Danish Ambassador for his contributions to Vietnamese Industrial and Trade on June 23. 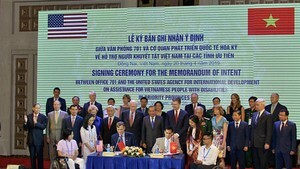 Denmark has provided 68 million kuron to the Ministry of Industry and Trade for energy consultation, realizing the goals under the National Targeted Program on Energy Efficiency and Conservation, and increasing production facilities in Vietnam that apply economical methods and technologies for energy efficiency.